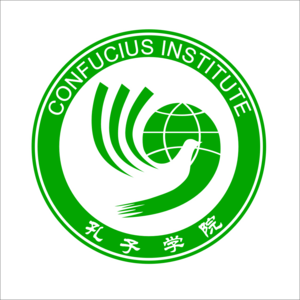 On April the 15th, VMU’s Dragons Academy at the Centre for Asian Studies together with the students from Korean culture club “Hallyu”, Japanese culture club “Hashi” and Chinese culture club “Wu Wei” visited Alytus “Jotvingiai” gymnasium. In celebration of the second anniversary of Alytus Orientalist Club activities, the students at the gymnasium were given lectures on the languages and cultures of East Asia. Also, cultural workshops were held, where students had the opportunity not only to get to know the art of calligraphy, origami, Chinese papercutting, but at the same time got a chance to interact with international exchange students from East Asia. 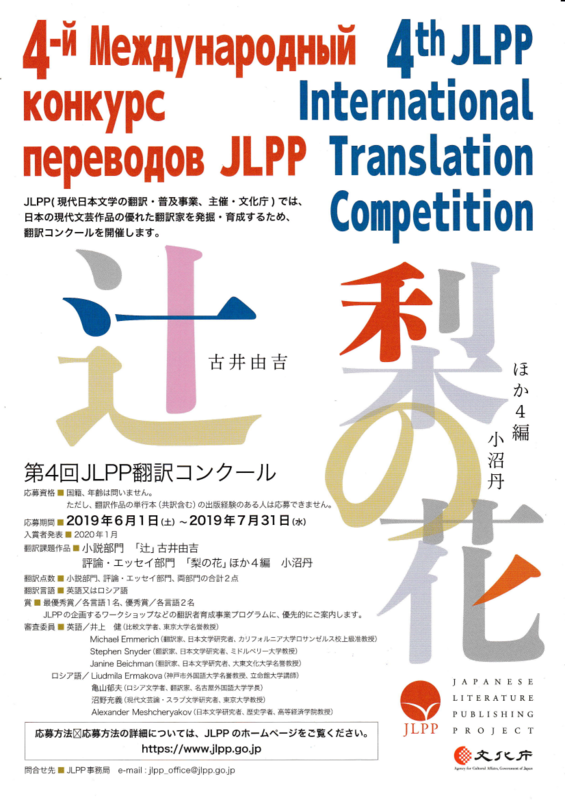 Komaru Transportation Company together with Hiroshima University’s Lithuanian Center and Vytautas Magnus University’s Centre for Asian Studies is organizing the Second Japanese Language Speech Contest. Participants from schools and universities are welcome. 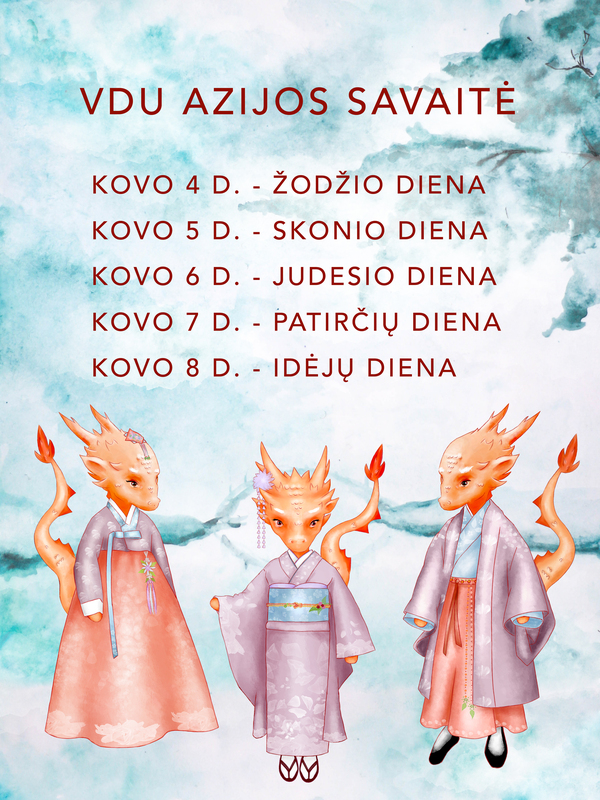 As last year, the contests is ready to surprise the winners with special presents (last year the main prize was a trip to Japan). 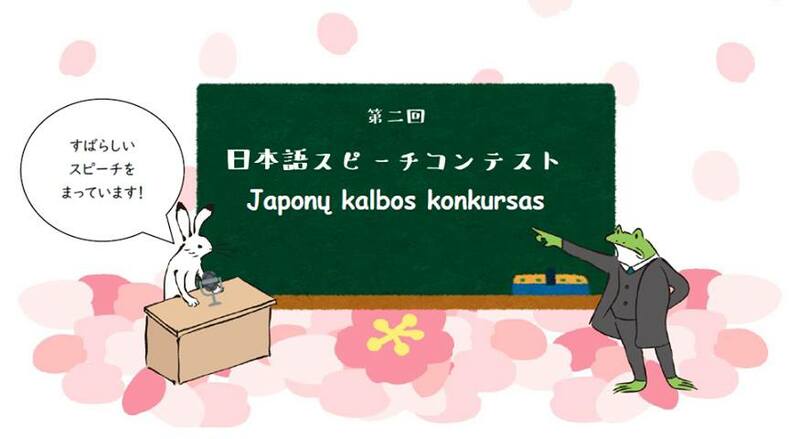 The Japanese language speech contest will be taking place on May 17th, 13:00 in room 103 (V. Putvinskio st. 23, Kaunas). 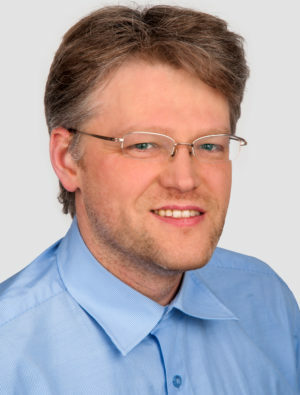 March 27, 2019 Dr Aurelijus Zykas finishes his work as head of the Centre for Asian Studies, which he started in 2008, eleven years ago. „It was extremely interesting and challenging period of life. 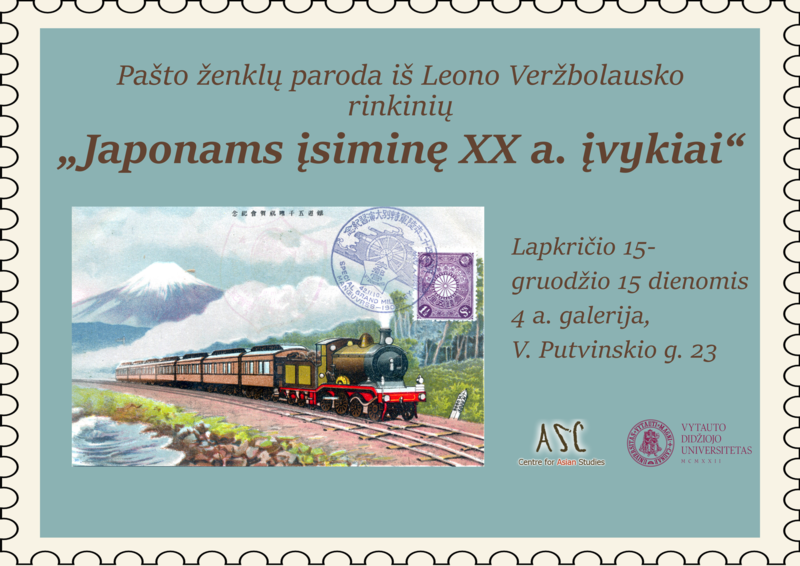 I hope, I succeeded to continue the activities and ideas of my predecessor, Mr. Arvydas Ališauskas, who had established Japanese Studies Centre. – Dr. Aurelijus Zykas stated, – I believe, together with our team we were able to raise Asian studies in Kaunas to some higher level. Here, in Kaunas, the vivid community of Asian studies specialists was developed, and now it is dispersed in different countries of the World. 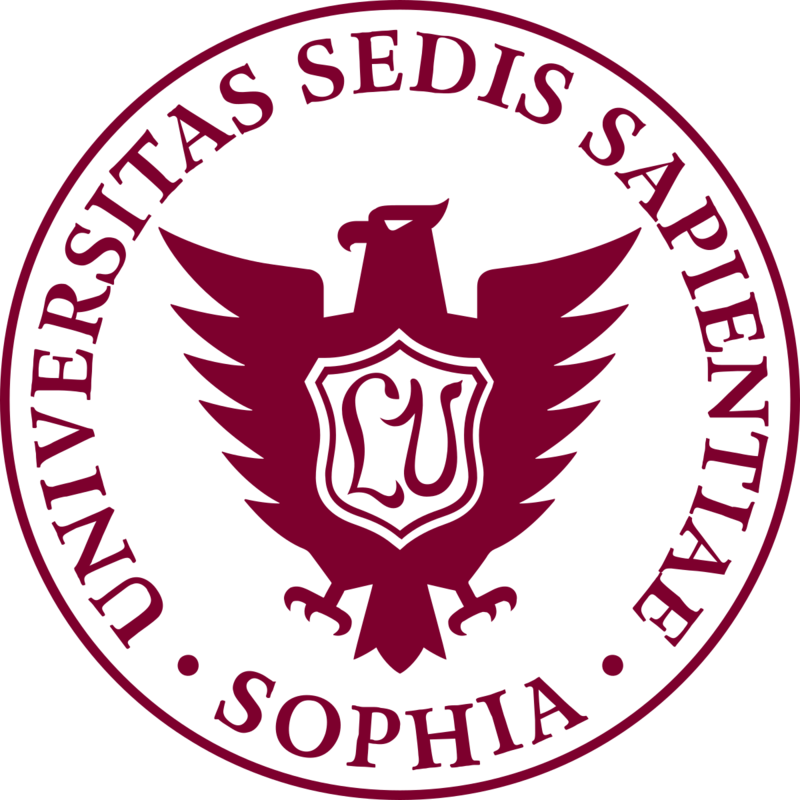 I would like to express my appreciation to all the divisions of the University and our social partners. We all worked together and achieved joint aims“. 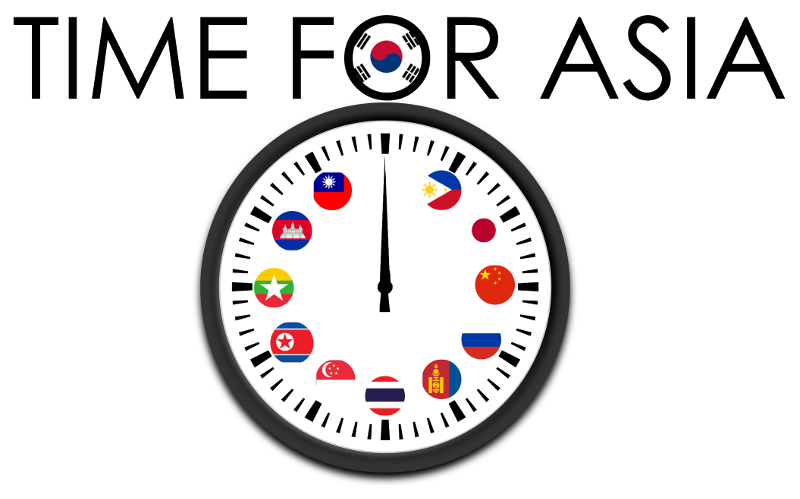 The Centre for Asian Studies continues “Time for Asia” events and invites you on March 4 to an open lecture given by the newly appointed South Korea’s ambassador to Lithuania H.E. 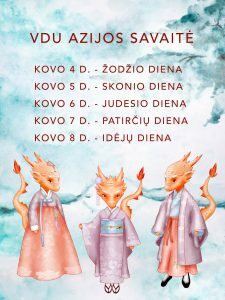 Mira Sun. In the lecture Lithuania-Korea Relations and Peace Process on the Korean Peninsula the Ambassador will talk not only about Lithuania-Korea relations but also about ongoing tensions and recent attempts to achieve peace and stability on the Korean peninsula. Before diplomatic career, H. E. Mira Sun was working as a human rights lawyer. She is a specialist of civil society, international relations in East Asia, resolution of historical tensions between Korea and Japan, and other areas. It will the first Ambassador’s visit to Kaunas and her first lecture given in Lithuania. H.E. Mira Sun will also participate in the opening of Asian Week and will visit the Centre for Asian Studies and King Sejong Institute Kaunas. 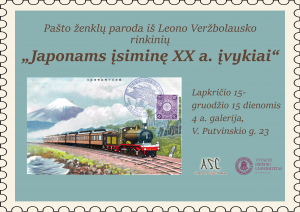 The lecture will be held on March 4 (Monday) from 10:00 at Putvinskio str. 23-310, Kaunas. The lecture will be in English and is free and open to all. 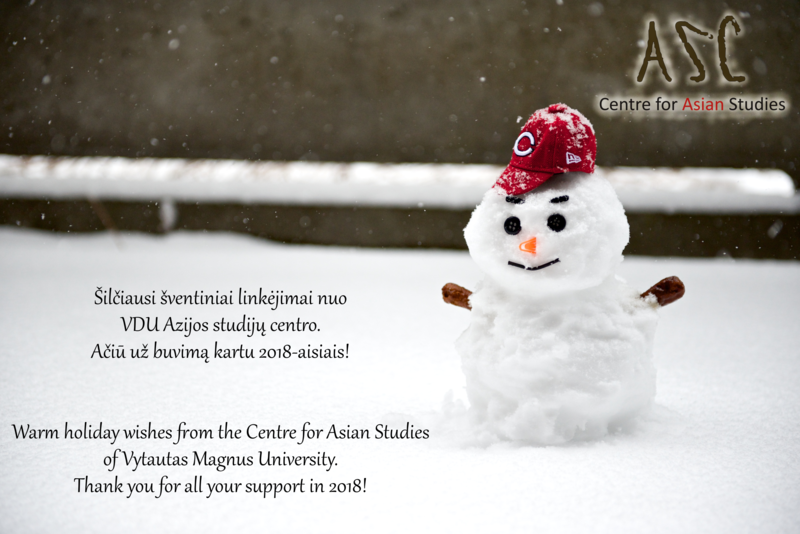 The Centre for Asian Studies (CAS) at Vytautas Magnus University together with the students’ clubs “Hallyu”, “Hashi” and “Wu Wei” invites Kaunas residents and city’s guests to the VMU Asian Week 2019. 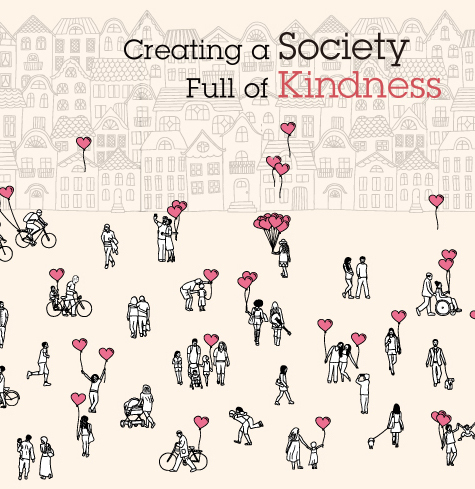 This year the event will take place on March 4-8 in venues of VMU and other public places in Kaunas. 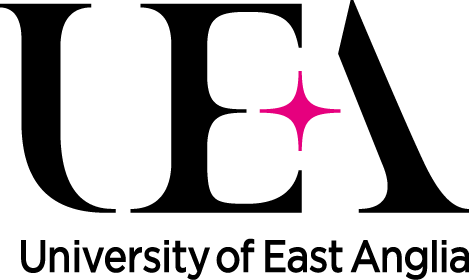 VMU Asian Week is a one week-long cycle of events dedicated to East Asian countries – China, Japan and Korea. It is done through the presentation of specific aspects of culture, arts and cuisine. CAS social partners in Lithuania actively participated in the organization of this event. 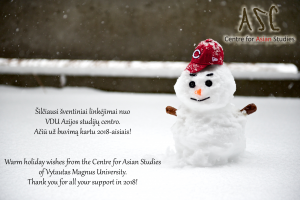 The staff of the Centre for Asian Studies sends the Season’s greetings to all of you and wishes you to have a merry Christmas and a happy New Year! October 7-14, 2018 Romanas Erminas, East Asia region studies Master‘s student has won national “MIRAI” program’s contest and visited Japan. The program is supported by the Japanese government and is dedicated to the young leaders of the future. 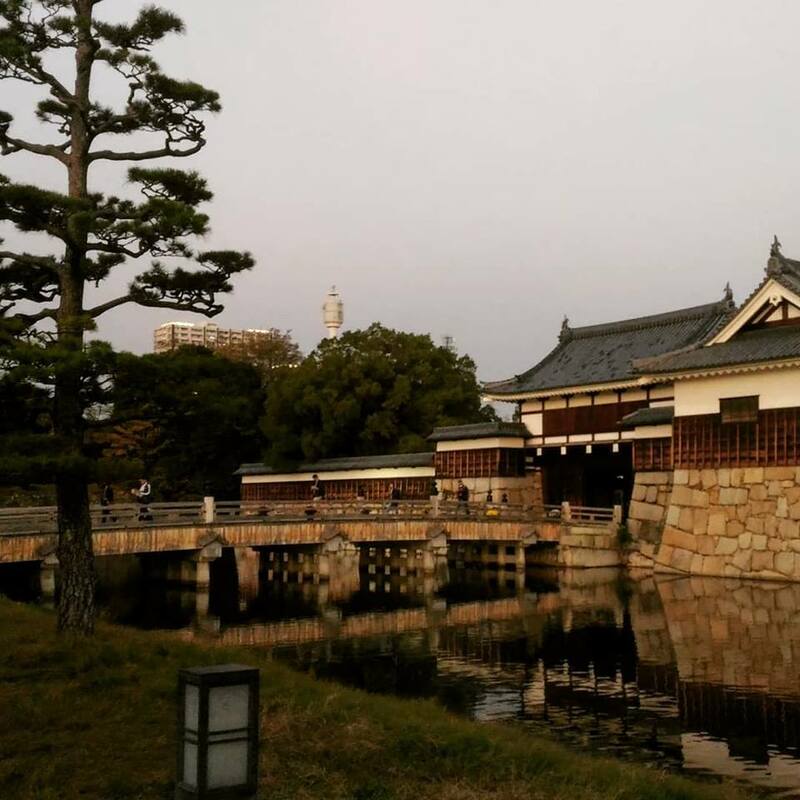 During the program, dozens of students from various countries spent a week in Japan, where they participated in discussions, visited local and central government institutions, various campaigns, universities, got acquainted with Japan’s economic and political system, culture. 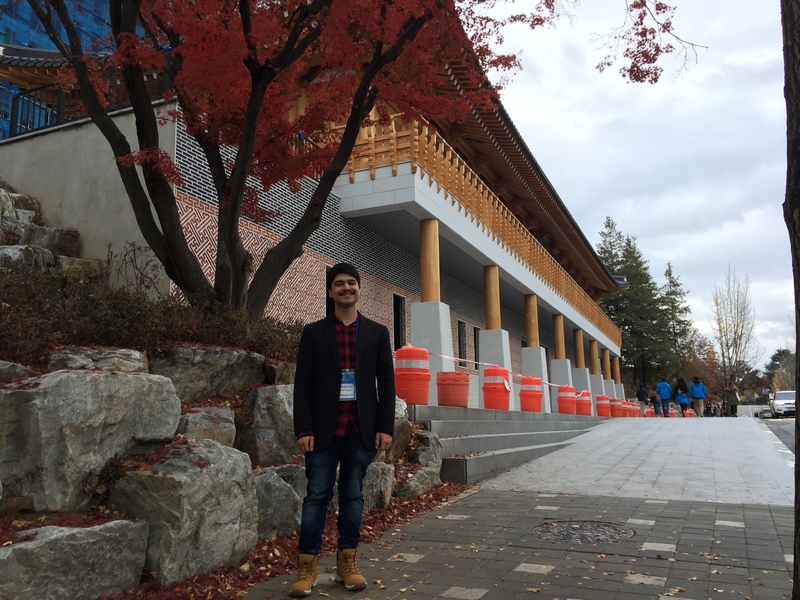 During November 6-10 Murad Asgarow, East Asia Region Studies student represented Vytautas Magnus University in the 2018 Jeonju International Biennale of Korean Studies at Chonbuk National University in South Korea. The conference provided scholars with an opportunity to share their ideas and the latest achievements in Korean Studies with fellow scholars from around the world. 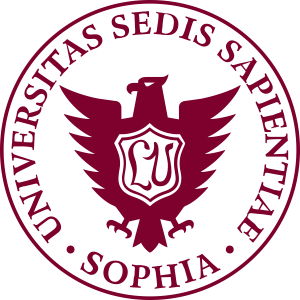 The Government of the People’s Republic of China in accordance with the agreement on bilateral education exchanges offers scholarships to the Republic of Lithuania for the academic year 2019-2020. The Goi Peace Foundation cordially invites the young people to participate in the 2019 International Essay Contest for Young People. 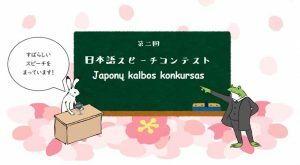 Embassy of Japan in Lithuania will present opportunities to study in Japan for Lithuanian citizens. 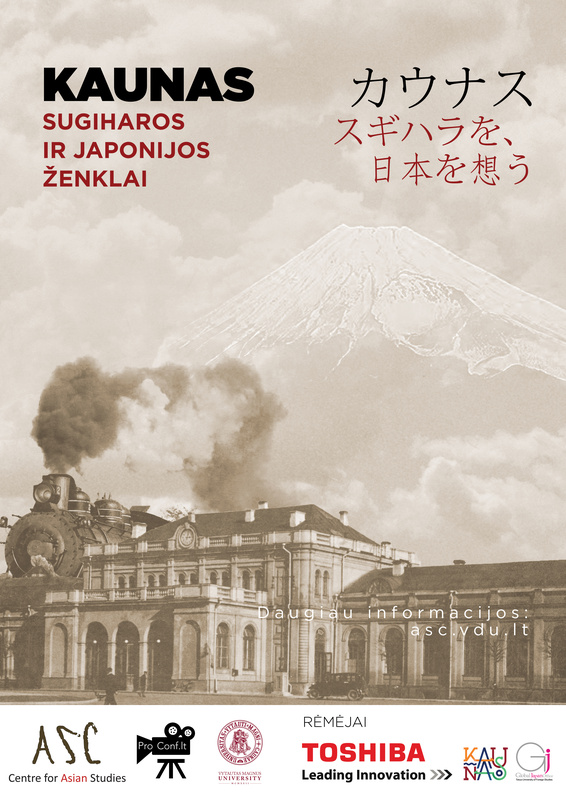 Special attention will be given to Japanese Government Scholarships (MEXT) proveded to Lithuanian citizens. 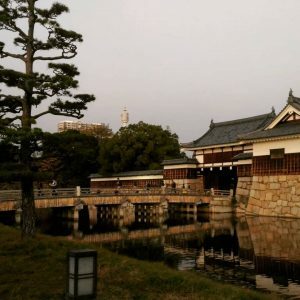 Students that have studies in Japan will share their experiences. Date: February 6th, 2019 (Wednesday). 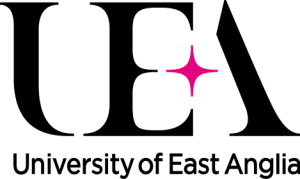 Showa Women‘s University (Tokyo, Japan) invites female undergraduate and graduate university students to participate in the 3 week summer program. 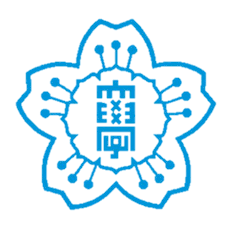 The program is designed for students who are interested in Japan, but not yet studies Japanese.